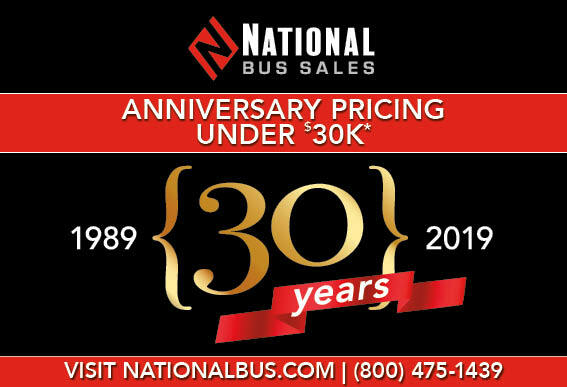 In celebration of our success, we are passing on some tremendous savings to you, our customers. 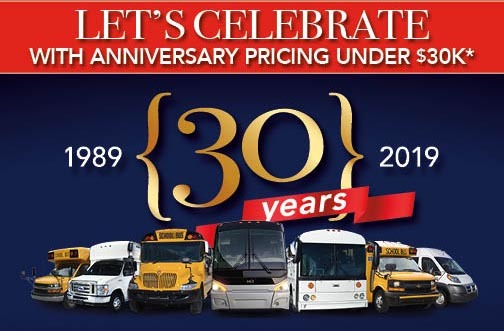 Thank you for supporting us throughout the last 30 years and we look forward to serving you in the future. 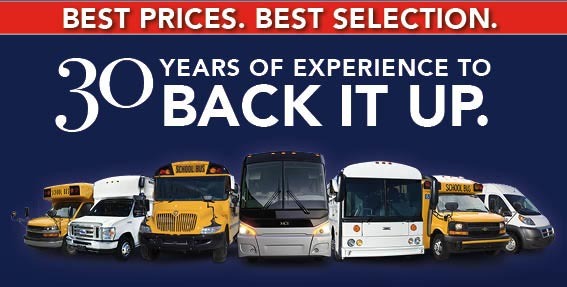 Check out our anniversary pricing on used school buses, activity buses, church buses, shuttle buses, mini-buses and more!! 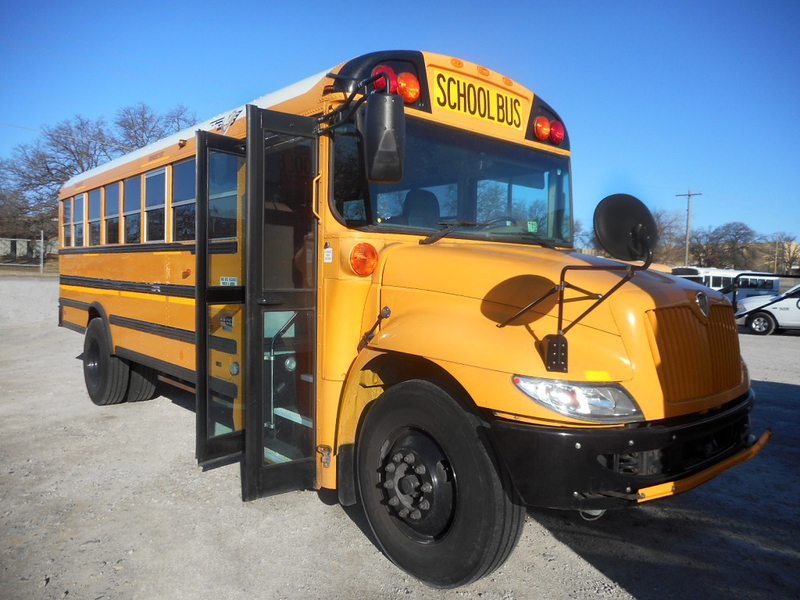 View National Bus Sales ad in the School Transportation News February issue here. 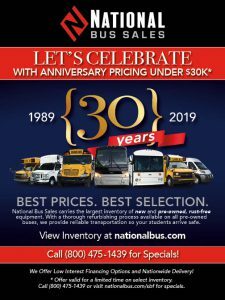 2019 Marks our 30th Anniversary! 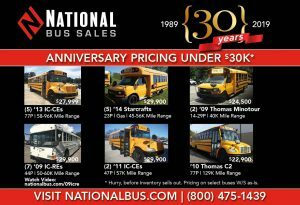 View National Bus Sales ad in the School Bus Fleet Fact Book here.